It was campy. It was unrealistic. But it was entertaining. 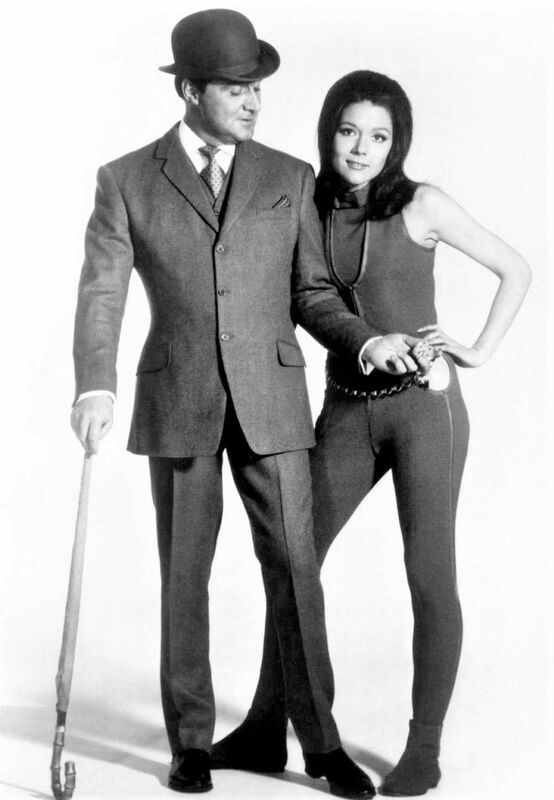 It had a certain style with its ever so polite and respectful John Steed, always neatly dressed with bowler hat and cane, accompanied by the leather-clad femme fatale Mrs. Emma Peel who was independent, tough, and very much an equal as a partner. For me, The Avengers was the period featuring Diana Rigg, the time when I was a regular viewer. We normally don't think of the music of the show, but there are many gems like this one which clearly define a television show and set the mood. Whether it's television or film, music is an important part of telling a story and that theme gets stuck in our heads. I still chuckle at how many people I've run into over the years who can sing Gilligan's Island. Ah, the power of music. The Avengers is a spy-fi British television series created in the 1960s. The Avengers initially focused on Dr. David Keel (Ian Hendry) and his assistant John Steed (Patrick Macnee). Hendry left after the first series and Steed became the main character, partnered with a succession of assistants. Steed's most famous assistants were intelligent, stylish and assertive women: Cathy Gale (Honor Blackman), Emma Peel (Diana Rigg), and later Tara King (Linda Thorson). Later episodes increasingly incorporated elements of science fiction and fantasy, parody and British eccentricity. 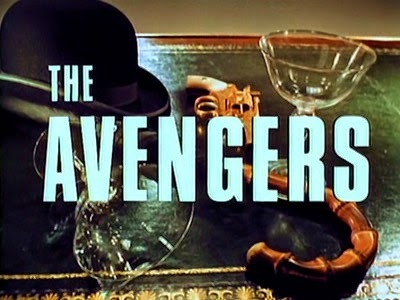 The Avengers ran from 1961 until 1969, screening as one-hour episodes its entire run. When Rigg joined the series in 1965, new theme music by Laurie Johnson was introduced. This was based on a previously released title, on LP called "The Shake". For the colour series (1967), a percussion section was added, to accompany the new teaser sequence at the start of each episode. Laurence Reginald Ward Johnson MBE (born 7 February 1927, Hampstead, England) is an English film and television composer, and bandleader. It was in this area of television scoring that he was to be most prolific. From the 1960s to the 1980s, he composed over fifty themes and scores, including the theme used on This Is Your Life (entitled "Gala Performance") (1952), The Avengers (from 1965), Animal Magic (entitled "Las Vegas") (1962), Jason King (1971), The New Avengers (1976) and The Professionals (1977). Johnson's film scores included The Moonraker, No Trees in the Street, Tiger Bay, I Aim at the Stars, Spare The Rod, Dr. Strangelove or: How I Learned to Stop Worrying and Love the Bomb, First Men in the Moon, East Of Sudan, The Beauty Jungle, Hot Millions, And Soon the Darkness, The Belstone Fox, Captain Kronos – Vampire Hunter and Diagnosis: Murder (The 1975 Christopher Lee film). It is interesting to hear Dame Rigg talk about her work on this TV show. She is a classically trained theatre actress appearing with the Royal Shakespeare Company. While her work on The Avengers was campy, she recognises the importance of having made a name for herself. It's the best of both worlds.